Tray Stars Milky Way Soap Mold features a whimsical pattern of stars that's sure to add some sparkle to any gift or party. The mold produces six star-studded square bars perfect for any occasion. 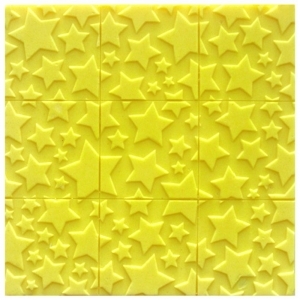 Soap Bar Dimensions: 2.625" x 2.625" x 1"
Notify me when Tray Stars Soap Mold is in stock.